Mere words will not be suffice to tell the glory of ancient Shiva temples spread in different parts of India. Most of those temples enshrined and established by our greatest Saints, Sages, and Siddhas and even by Lord Mahavishnu have in them self-manifested Lord Shiva in the form of Shiva Linga. Even Lord Shiva’s consort Goddess Parvathi has worshiped the Lord in few temples including the ones in Tiruvanaikovil and Kanchipuram. There exist few temples where the cosmic Serpents living in Naga Loga like Adhishesha and Vasuki along with several other serpents have offered worship to Lord Shiva in this land. Few such sacred temples are Nageshwar temple in Thirukudanthai, Naganathaswami in Thirunageswaram, and Sheshapureeswarar temple in Thirupaambupuram and Naganathaswami temple in Nagoor. 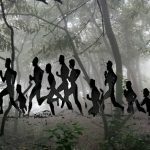 It is believed that even to this date many mystic sages connected to Naga Loga are around us in invisible form. There is firm belief that by offering worship in above sacred temples, one gets rid of the Kalasarpa Dosha and Sarpa Dosha (both sins borne out of Serpents) accrued out of past karmas called sins. The full moon occurring in the month of Masi (Margha which occurs in the month of February) is called Vasantha Pournami. The legend says that once on the day of Vasantha Pournami, the Ashta Nagas (eight holy serpents) by negligence ignored worship of Lord and engaged in the act of revelry with their wives when Sambuthathan one of the sons of a Brahman died of snake bite elsewhere. Since the agonized father of the boy cursed the entire fleet of those eight serpents, they had to come down to earth under the leadership of cosmic serpent Adhishesha to offer worship in some of the temples to get absolved of the curse given by the Brahman. 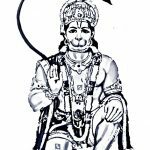 Therefore to get absolved of their curses, on the day of Maha Shivarathri they worshiped Lord Nageswarar in Thirukudanthai in early morning, at noon Lord Nageshwar in Thirunageswaram and in the evening worshiped Lord Sheshapureeswarar in Thirupaambupuram. In the night of the same day they offered worship to Lord Naganathaswami in Nagoor temple. Many serpents both male and female from Naga Loga who accompanied the troupe of Ashta Nagas enshrined many Siva Linga on way and offered worship to Lord Shiva in those places which later become sacred temples in many parts of that region. 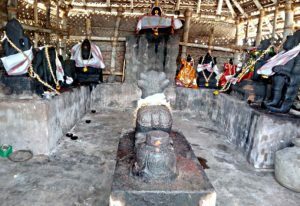 One of the Shiva Lingas thus enshrined by the serpents is Lord Naganathaswami which is in Therkaalaththoor, popularly called Radhamangalam. 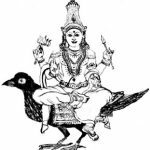 The female cosmic serpent Nagarani, Queen of Serpents, believed to be staying inside the snake pit in the sanctorum of Goddess Saanthanayagi when worshiped remove the ill effects of Nagadosha accrued on her devotees. 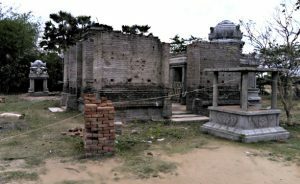 The 1500 years old highly revered temple, was in dilapidated condition with ruined and damaged structures due to calamities over the years and need renovation. 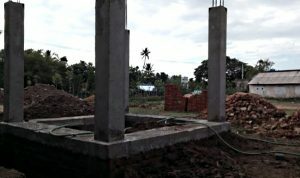 The statues of both Nataraja and Nagarani ( King and Queen of Serpents) which are under preparation in a placed called Myladi in Nagercoil district is to be enshrined here after renovation. Lord Naganathaswami seated in this temple is worshiped by both Nagaraja and Nagarani (serpent couple) in this temple. Therefore those afflicted with Kala Sarpa Dosha, adverse effect of Lord Kethu and the childless couple, if visit this temple and pray Nagaraja-Nagarani couple after offering prayers to Lord Naganathaswami and Goddess Saanthanayagi, their prayers are sure to be answered suitably and their wishes get fulfilled. On the day of Maha Shivarathri, it is believed that while Serpent King Nagaraja offer worship to Lord Naganathaswami in Nagoor temple, his body lay touching two temples. 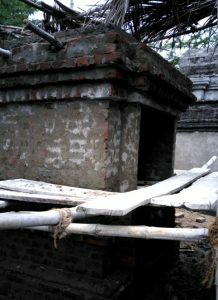 While his head is reportedly in Nagoor, the tail end of the body is believed to be stretched up to Radhamangalam in Ragukethu mandalam. This is interpreted as the serpent couples offering Pooja to the Lord in both the places simultaneously after installing the Shiva Ling. The cosmic serpent along with her wife stay worshiping the Lord thus till the commencement of next Amavasya and thereafter take bath in the temple tank Naga Theertham and complete the final prayer (Pooja). 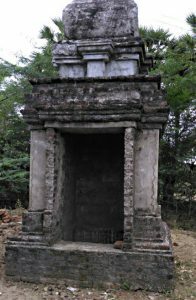 In southern India this is the only one pious and sacred temple where one begets the blessings of the Serpent Queen Nagarani. 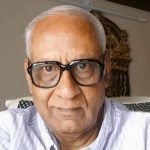 It is undeniable fact that sins like Sarpa Dosha attained by someone in the lineage of forefathers will continue to unknowingly haunt some members in the decedent’s family tree. Those members unaware of afflicted with the Sarpa Dosha face obstacles and turbulence in their family life. In the past those who regularly visited temples for worship, especially when visited some specific temples of Lord Shiva, the ill effects affecting them on account of Sarpa Dosha was automatically getting nullified which was not even known to them. They used to feel that the Lord in the said temple has answered their prayers. Much later it came to light by word of mouth stories that those specific temples which silently absolved the ill effects of Sarpa Dosha had significant legends behind them and were actually established centuries ago by Lord Shiva himself with self-manifestation for specific purposes like condoning the severity of the ill effects on account of several sins especially for removing the Sarpa Dosha. Such facts were only known to the Rishis and Sages who revealed them to the public by word of mouth moral stories much later. One may wonder why so much importance was given for Sarpa Dosha and temples established to remove them? Read below in one breath. The legend says that the serpents are under the control of Lord Shiva. If you carefully look at the structure of snake pits you will realize that they are shaped almost like that of a Shiva Ling in the midst of mountain. Thus worshiping the serpents by pouring milk in the snake pit was equivalent to anointing with milk which in the deeper spiritual sense is nothing but worship of invisible Lord Shiva who resides in mount Kailash. The holes in the snake pits are entry points to mount Kailash, well-guarded by several Deva ganas in the guise of serpents. A majority of the places in the bygone centuries where people lived (several thousands of years ago) were dense forest lands or surrounded by them where the snakes too resided in plenty. In order to get protected from their attack, people worshiped Lord Shiva, he being the controller of serpents and thus shines of Lord Shiva were built or Shiva Lings were enshrined in the open places for worship in those places called hamlets then. People were not aware that the Serpents were guards from Naga Log under the leadership of Nagaraja, the King of Serpents and killed the snakes whenever they saw them. The moment the snakes were killed, they attracted the curses from them being Deva ganas of Lord Shiva. The curses from the Serpents, the Deva ganas of Lord Shiva were more powerful in causing ill effects in the life of those who killed them. This is the reason why the temples where the Sarpa Dosha can be nullified are seen to be that of Lord Shiva’s temples or the temples of Raghu and Kethu who belong the family of Serpents. The effects of the curses which fell on one could be nullified only when they regretted their action by way of offering prayers or worship to Lord Shiva and then to the controllers of the Naga Loga some of who had also manifested as the Navagraha Planets like Raghu and Kethu and until the killer is pardoned, the ill effects continued to affect their kith and kin in lineage. However, the Lord has not left the mankind to suffer thus endlessly and at the same time the serpents’ being his guards, he ensured that their honor is maintained. 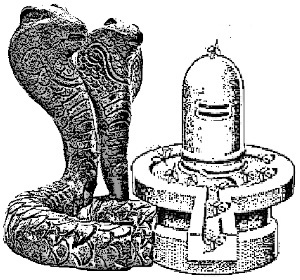 In order to nullify the effects of the curses of those who accidentally or knowingly or unknowingly engaged in the act of killing snakes, he ensured that certain worship places carrying his special energies in the form of Shiva Linga were created where the Sarpa Dosha could be nullified by performing certain rituals. One may have also read in the legends that many of the divines including few from Naga Loga who carried curses on them had to come down to the earth to pray Lord Shiva to get relieved of curses of many sorts. Those divines who came to earth, stayed under the tress in the dense forests and worshiped Lord Shiva after enshrining a Shiva Ling or prayed where Lord Shiva had already self-manifested in the form of a Shiva Ling. Thus some of the temples established or worshiped by them became most sacred ones than others in offering relief for several sins. Few such sacred temples where the Lord has been worshiped by Planets like Raghu, Kethu, Nagaraja and Nagarani of Naga Loga or as established by the divine Serpents exist in and around Mayavaram- Kumbakonam areas in the state of Tamilnadu and they remain the prime temples where the Sarpa Dosha is relieved as desired by Lord Shiva himself. 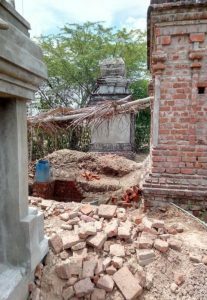 Several such temples which came out were in remote places and lay in dilapidated condition uncared and unattended by public unaware of their significance. 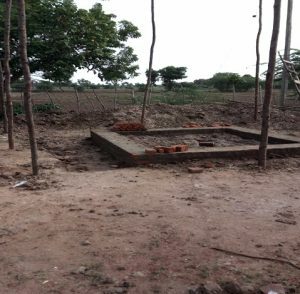 Much of them remained in ruined and damaged condition due to various reasons including natural disasters, uncared and unattended for want of funds and ignorance. However when the significance and importance of such temples slowly came out in open through word of mouth stories as revealed by the Sage of sages Maha Periva of Kanchi Mutt on several occasions, and by some of the Spiritual Masters, some of those temples were identified and taken up for renovation and repairs by interested spiritual souls engaged in such activities as wished by Maha Periva. 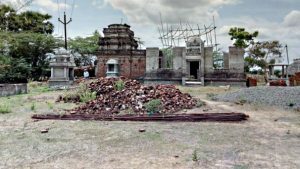 One such most sacred temple has been the above mentioned temple in Radhamangalam which was in dilapidated condition needing repairs and renovation before putting up for worship. 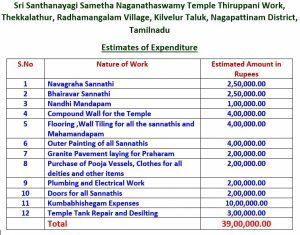 This task of renovation was spearheaded and partially completed in silence by spiritually attracted two female members like Mrs Geetha Ganesh and Mrs Vaidhehi Subramanian without giving much publicity and from the funds received from public patrons and devotees known to them in closed circles. 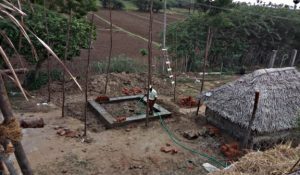 Since some more funds are required to complete the task, they appeal to the like minded spiritual groups and devotees to contribute generously for the renovation work of the temple underway. By contributing to the sacred cause, they are engaged in a divine act and also ill effects of Naga Dosha if any borne by them even unknowingly will get nullified by the blessings of the Lord here as they also get indirectly involved in the temple renovation work attracting the blessings of the Lord of the temple.